Robbie's father is a spitfire pilot who was shot down during World War II and is now a POW. At only seventeen, Robbie lies about his identity to enlist in the Royal Canadian Air Force under the guise of going to a boarding school so that his mother doesn't find out. 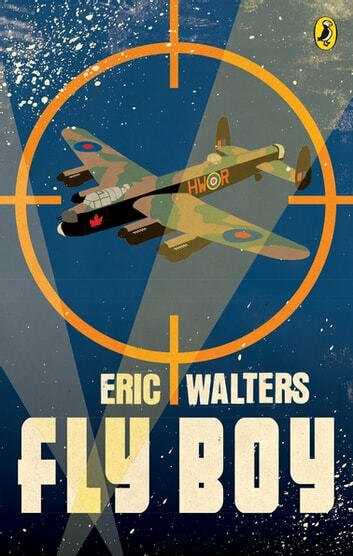 He starts training in Brandon, Manitoba, but after acing all his classes, he's dealt a disappointing blow when he's assigned to be a navigator on a Lancaster. He wanted to be a pilot, just like his father, but the commanders of the air force have other ideas. Robbie is soon on his way to England, where he completes his training on missions bombing German targets in enemy territory. It is during one of these missions that his Lancaster is fired upon and the pilot and many of the crew are shot. It's up to Robbie and his limited piloting experience to save the crew...and himself.